Steve Bannon, the fire-breathing American conservative ideologue, is bent on creating a global right-wing populist movement. 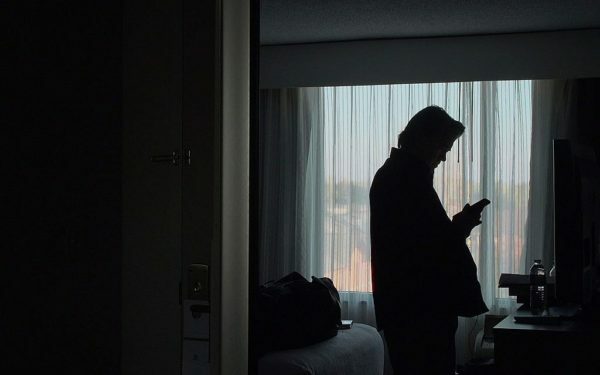 In Alison Klayman’s absorbing documentary, The Brink, which opens in Canada on April 12, she accompanies Donald Trump’s former chief strategist on trips across the United States and Europe to lay the groundwork for this ambitious objective. A fierce opponent of the European Union, he’s focused on building relationships with like-minded politicians who plan to run in this year’s European Parliament elections. If they’re successful, he could well become the godfather of a revolution that could reshape politics in Europe. “We’re on the right side of history,” he assures Nigel Farage of the UK Independence Party during a whirlwind visit to London. Now 65, Bannon is on a mission to upend the status quo. He did it in the United States by helping Trump win the presidency. He may yet duplicate this feat in Europe, given the upsurge of populism there. The Brink unfolds between 2017 and 2018. 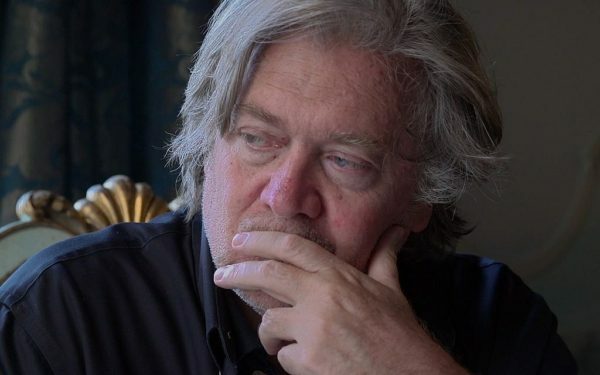 Klayman portrays Bannon, the ex-chief executive officer of Breitbart News, as a rumpled, driven and demanding visionary who’s convinced he possesses the persuasive powers to convert people to his cause. No shrinking violet, he takes credit for Trump’s unexpected triumph in the 2016 presidential election, but thinks that “divine providence” delivered his victory. Describing Trump as a “transformational” president, Bannon believes his influence will affect America even 30 years from today. Bannon, the originator of Trump’s controversial Muslim travel ban, claims he hated working in the White House. By his reckoning, the West Wing was impregnated with “bad karma.” Nonetheless, he believes he was carrying out the “lord’s work” in Washington, D.C. The film gets under way as Bannon reflects on a trip to Auschwitz-Birkenau, the Nazi extermination camp in Poland where Jews, Poles and Russian prisoners of war were murdered on an industrial scale. In detached fashion, he marvels at the “precision engineering” that enabled the Germans to kill so many people in so short a time, and he expresses astonishment that human beings could have been capable of such horrendous crimes. Bannon speaks passionately about economic nationalism, claiming it binds Americans together regardless of race, religion and ethnicity. He makes passing references to globalism, which, he contends, is not a code word for antisemitism. Klayman dwells briefly on the Roy Moore affair. Moore, from Alabama, ran for a seat in the U.S. Senate, but lost ground after reports surfaced he had sexually assaulted a 14-year-old girl years ago. Bannon supported him to the bitter end, telling Moore’s admirers they should not be deprived of his “voice” in Congress. 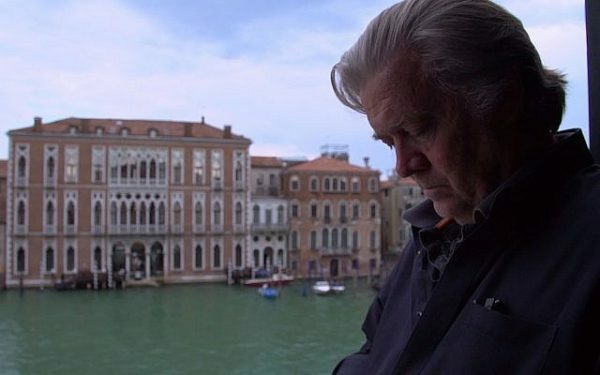 As he tours Europe, Bannon meets members of the National Rally, which was previously known as the National Front, an antisemitic organization once led by the notorious rabble-rouser Oswald Mosley. As he’s driven through a certain neighborhood in London, populated in the main by Muslims thanks to generous immigration policies, he sighs. Ironically, Bannon’s guide is Raheem Kassam, an animated young Muslim man who heads up Breitbart News in Britain. A British journalist upbraids Bannon for consorting with European politicians known to be racists. Bannon replies that racism won’t be tolerated in the populist movement he’s attempting to form. As The Brink reaches its denouement, Bannon debates David Frum — the Canadian neo- conservative who served in the George W. Bush administration — in Toronto. John Thornton, the former president of Goldman Sachs, a multinational investment bank and financial services company based in New York City, later congratulates Bannon on a poised performance. As Klayman suggests, Bannon is dedicated to global revolution, not only in the United States but in Europe as well.